Departure Bay is a bay in central Nanaimo, and its surrounding neighborhood is also referred to as "Departure Bay" The oceanside views from Departure Bay homes for sale are incredible; many capturing the BC Ferries passing in and out. Lot sizes are often larger in this area and offer a variety of housing styles, ranging from character, to split-level, to luxury homes. Homes in this area range in price from $300,000 up to $1,400,000 with the median around $450,000. Keep reading to learn more about the natural oasis that is Departure Bay, or browse the homes below to see what’s on the market. 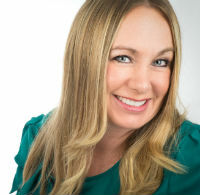 When you team up with Karen Ayou, you'll gain exclusive access to our most Advanced Search Tools. Receive Real-Time Email Alerts the moment a Departure Bay real estate listing matching your criteria becomes available on the market. The houses for sale in Departure Bay are just minutes from the water, and residents love the easy access to the Departure Bay beach and associated outdoor recreational activities. Water sports enthusiasts enjoy kayaking, boating, swimming, and standup paddle boarding in the area, and there are great nearby hiking spots for the everyday explorer, too! Sitting on the beach watching the sun set and rise is also a wonderful luxury the neighborhood has to offer. 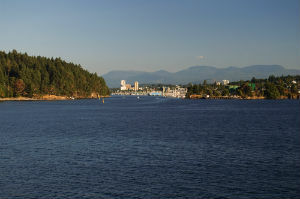 Departure Bay is the perfect place to take full advantage of Nanaimo’s natural outdoor beauty. As well, the Departure Bay area is known for its sense of community and camaraderie. There is a sense of neighbourliness amongst residents, and its near proximity to the Departure Bay BC Ferries terminal makes transportation a breeze. Nearby schools include Rock City Elementary, Departure Bay Elementary, Cilaire Elementary, and Wellington Secondary. You also may be familiar with some of Departure Bay’s sub neighborhoods, such as Sherwood Forest, Stephenson Point, Cilaire, Lynburn Estates and Beach Estates. Start looking at homes for sale in Departure Bay with the help of local expert Karen Ayou. Contact us to learn more!